Need ideas for leftover cranberry sauce? 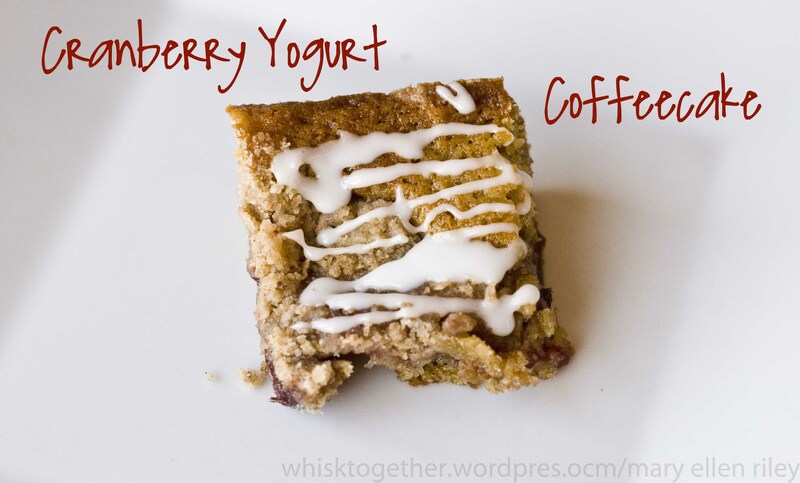 Want to have something festive for Thanksgiving morning? 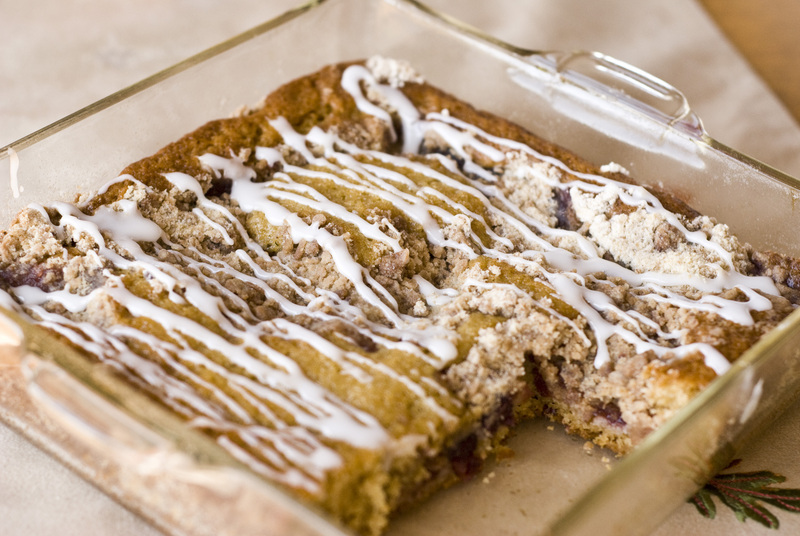 Try Cranberry Yogurt Coffeecake! 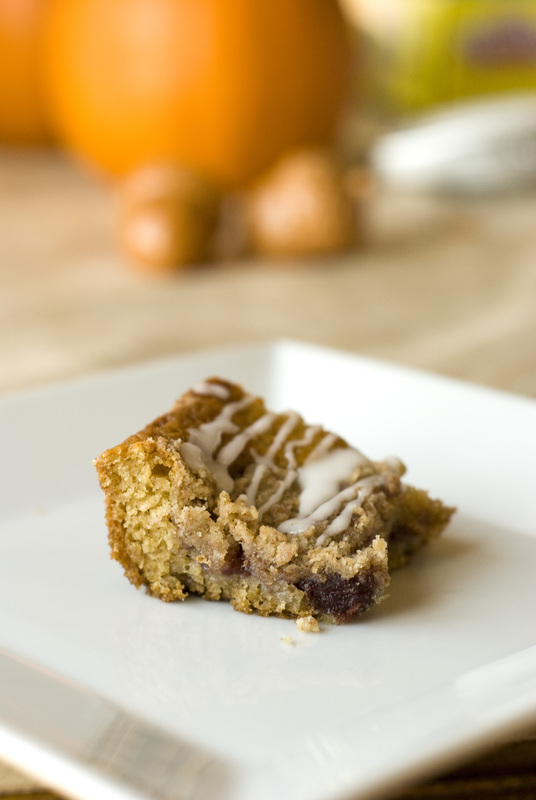 I’m such a sucker for coffeecake. 2. Make streusel: Cream together butter, sugar, salt, cinnamon and vanilla. Add flour until forms coarse crumbs. Set aside. 3. Make batter: In large bowl, cream together butter and brown sugar until smooth. Beat in eggs one at a time. Beat in the rest of the ingredients. Pour into your pan. 4. Spoon the cranberry sauce randomly around the batter. It doesn’t spread much when baking, so I preferred more filling. 5. Sprinkle streusel on top. 6. Bake 40 minutes or so. I always check after 30 minutes with my cake tester (i.e. toothpick). The top of my coffeecake was not very pretty. Delicious, yes (or it wouldn’t be posted here! ), but pretty no. Not like the original photo. Soooooo… to solve this problem I just whisked up some powdered sugar icing and drizzled it on top of the somewhat cool coffeecake. Mix powdered sugar and milk together. I added milk 1/2 tsp. at a time until the icing came together and drizzled from the spoon like maple syrup. Then drizzled from my spoon onto the cake.